The Supreme Court today directed the Centre to expeditiously shortlist names for appointment as Lokpal after the Attorney General submitted that the selection committee headed by Prime Minister will be meeting on July 19. "Let's begin on an optimistic note. We do not wish to issue a mandamus. We hope that the selection and search committee will expeditiously finalise the names. Let a report be filed next Monday. We shall take up the matter on Tuesday", a bench of Justices Ranjan Gogoi, R Banumathi and Navin Sinha said. "Since selection committee is meeting on July 19 we refrain to make any further comments at this moment", the bench said. At this moment, AG K K Venugopal expressed reservation that there is a possibility that the selection committee may not be able to complete the deliberations in one sitting on July 19 as "we cannot rush through". The bench recorded the AG's reservations in its order. Meanwhile Noted lawyer Prashant Bhushan who is arguing the matter for petitioner NGO Common Cause filed an application urging the court to directly appoint a Lokpal raising suspicions over the process being adopted by the Centre. Asking the Centre to expedite the process of appointment of a Lokpal, the bench had on July 4 sought an affidavit from the government specifying the time frame within which definite steps will be taken. Bhushan has been repeatedly urging the court to pass an order with a direction to the Centre arguing that the Centre was merely dragging its feet. 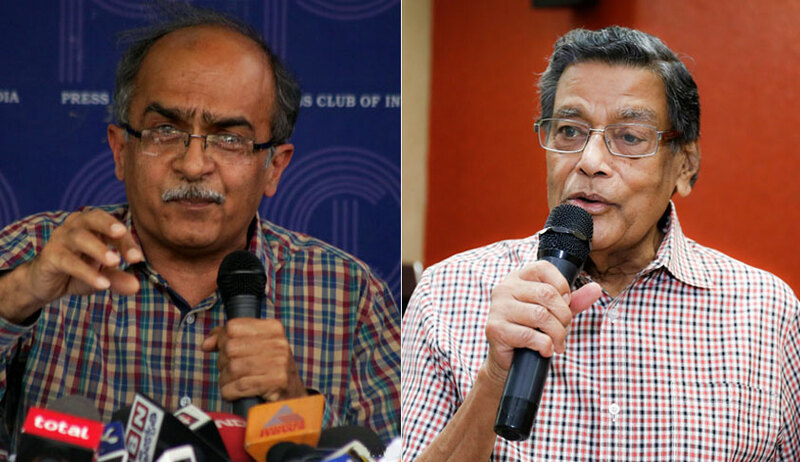 On March 6, the last date of hearing, Bhushan argued that it was clear that the government does not want to appoint” the most important anti-corruption watchdog. Venugopal replied: “At the earliest”. “The Act is more than four years old. Even after the order of this court, one year lapsed. Only when we filed a contempt petition they called for a meeting”, he had said. But the bench had adjourned the matter to today after telling Bhushan “We have taken note of our submissions. Now let us see what they will do in four weeks”. On March 1 Congress leader in the Lok Sabha Mallikarjun Kharge refused to attend the meeting of the Lokpal selection committee to decide on the appointment of an ‘eminent jurist’, seriously miffed at the invitation as a ‘special invitee’. Under the Lokpal Act, which was passed in the Parliament in 2013 but came into force next year after the President had given his assent, the Lokpal is to be appointed by the selection committee including the PM, CJI or his nominee and an eminent jurist. The government had taken a stand that delay was due to the absence of Leader of Opposition (LOP). Since the Congress does not have the required 10 percent of the total seats in the Lok Sabha, the party was denied the LOP status after the General Election in 2014. In April 2017, the top court had said the anti-corruption body should be set up without delay and the absence of LOP should not come on the way of appointment. However, following the pressure from the Supreme Court the government later decided to include the largest opposition party in selection panels for the Lokpal and for CBI chief.